Above: Horbury Junction Station which was on Green Lane and was opened on the 1st January 1850 and closed on the 11th July 1927, when it was replaced by Millfield Road station.. The first railway station to open up in Horbury was located at Horbury Bridge and this was opened in 1840 and called Horbury and Ossett station. The idea of a railway station in Horbury was first mooted in the 1830s, but before this could happen, an Act of Parliament had to endorse the proposal. Permission for the station was granted in 1836 on the 51 mile long stretch of double-track line between Leeds and Manchester. The Chief Engineer on this early railway scheme was the famous civil and mechanical engineer George Stephenson (1781 - 1848), who was renowned as the "Father of the Railways". The Manchester and Leeds Railway opened in 1839, connecting Manchester with Leeds via the North Midland Railway, which it joined at Normanton. Following mergers with other local railway companies in the north of England in the 1840s, the Lancashire and Yorkshire Railway (LYR) was formed in 1847, and the Manchester and Leeds Railway was one of those to be amalgamated into the new company. After the Railways Act of 1921, which was also known as the "Grouping Act", the Lancashire and Yorkshire Railway became a part of the London, Midland and Scottish Railway (LMS)1. There were 29 local Horbury men who fought in the South African Boer War (1899-1902). On their return they were treated like heroes and the picture to the left shows crowds gathered at the old Horbury and Ossett station (circa 1900) awaiting the train carrying wounded soldier, Private Andrew Bennett, who was born in Flanshaw, Wakefield in 1877. The Bennett family lived in Queen Street, Horbury and Andrew Bennett joined the King’s Own Yorkshire Light Infantry in 1894, aged 18 years. Although he recovered and was discharged from the Army, he was called up again into the 2nd Battalion, K.O.Y.L.I. at the start of the Great War in 1914. Sadly, Andrew Bennett was to lose his life in May 1915 during the 2nd Battle of Ypres, when the Germans first used chlorine gas, killing many British soldiers. When Horbury and Ossett station was opened in 1840, it was built to a primitive design with no covered area for passengers waiting for trains. To get from the "up" platform to the "down" platform safely meant a walk up the steps, over the bridge, and then down the steps to the opposite platform. The original platforms were also built for early trains and were low to the ground and not well suited to the larger trains that came along 50 years later. In 1893, the Horbury Local Board complained to the Lancashire and Yorkshire Railway that the station was not meeting the needs of the burgeoning number of passengers now using the station. In the event, the old station was replaced in 1902 with Ossett and Horbury station, also located in Horbury Bridge and on the same LYR line. White's 1853 Trade Directory tells us that there were two railway stations in Horbury at that time, both on the Lancashire and Yorkshire Railway and both quite close together. These were the original station at Horbury Bridge, i.e. 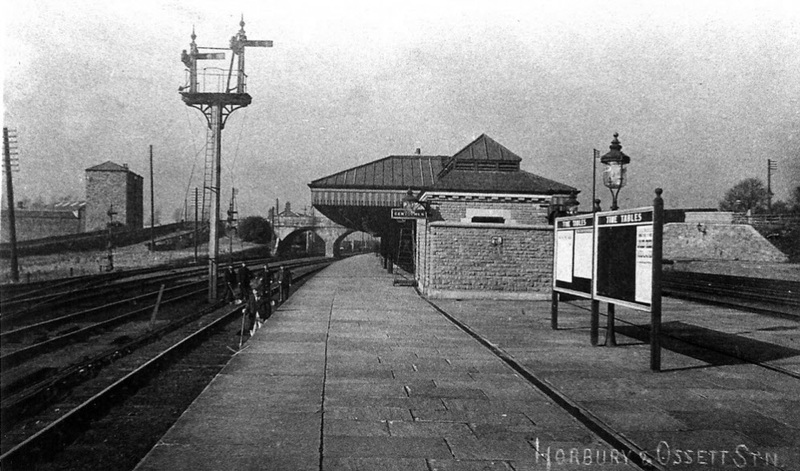 Horbury and Ossett station, which opened in October 1840 and the original Horbury Junction station, opened in 1850, then located at the bottom of Green Lane, roughly where the M1 motorway crosses now. 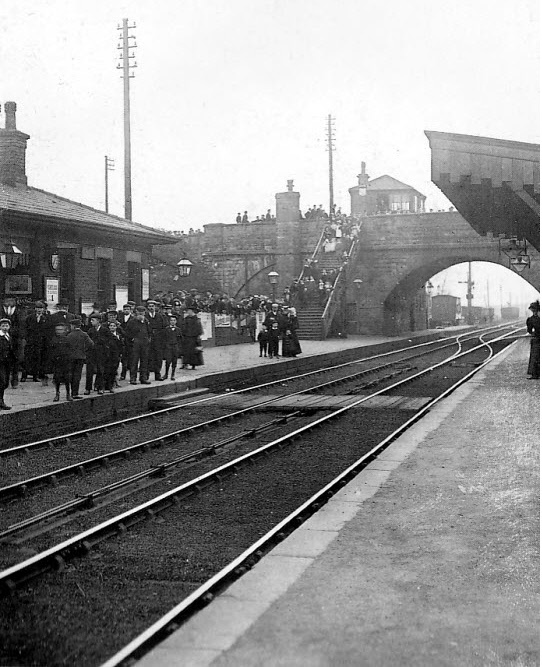 Above: Ossett and Horbury Station which was opened in 1902, replacing the earlier Horbury and Ossett station. 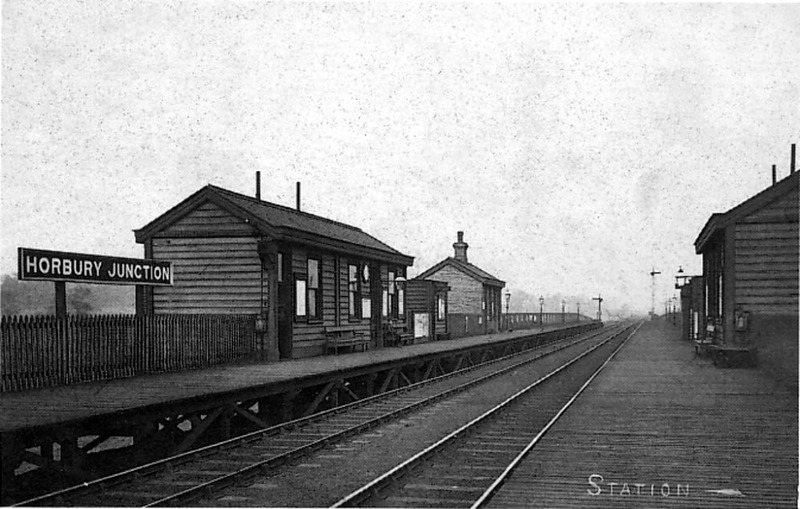 The new station had a central platform and so avoided the need for passengers to cross a bridge to travel from platform to platform. The station closed in 1970, so leaving Horbury and Ossett without any railway station. 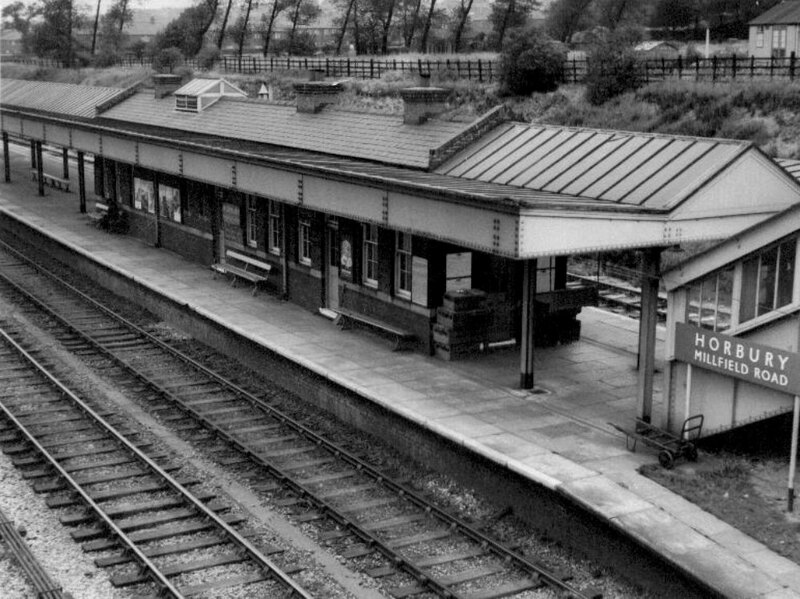 Above: Horbury Millfield Road station, which was opened on the 11th July 1927 replacing Horbury Junction station. The new station was built opposite St. Mary's Church and was much closer to the Charles Roberts factory than the older station. Millfield Road station closed on the 6th November 1961. 1. The Railways Act was an Act of Parliament enacted by the British government of David Lloyd George intended to stem the losses being made by many of the country's 120 railway companies, to move the railways away from internal competition, and to retain some of the benefits which the country had derived from a Government-controlled railway during and after the Great War of 1914-1918.